Ice breaker games hire. If you need to break the ice and get people mixing, mingling, and socialising at your event what better way than some easy going but fun ice breaking activities and games? 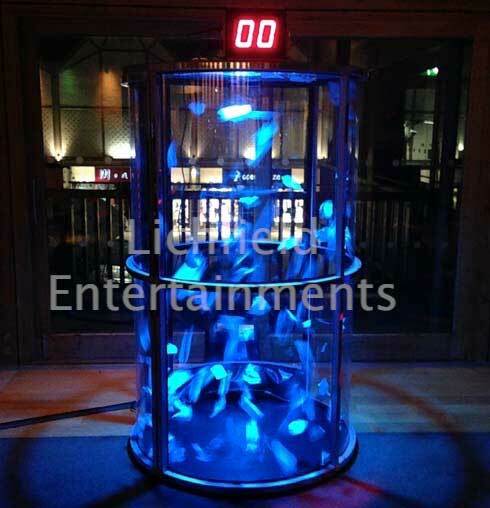 We have a great selection of ice breaker games available for hire that are perfect for this purpose and the following have been selected as they don't require any particular skill and none should prove so embarrassing that your guests are reluctant to participate. 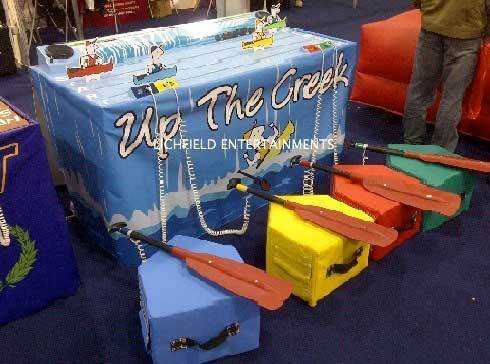 Our interactive electronic Boat Racing is as far as we know the only one available for hire in the UK. Played by two to four people at a time the faster they paddle their oar the faster their colour co-ordinated boat moves along the river type track in front of them. First to the finish line wins. 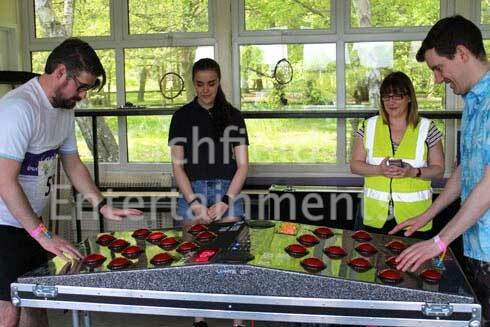 We have four types of Reaction Speed game - Batak, Strike a Light, Light Chaser and Lights Out. Light Chaser is a one player game where the player stands in the middle of the four pillars each of which has three light pads on. As they randomly illuminate the player has to touch the light pads and get as many as they can in a one minute game. The timer and score are displayed on the front of the game. It's a game that always getting the spectators shouting out where the illuminated light is. 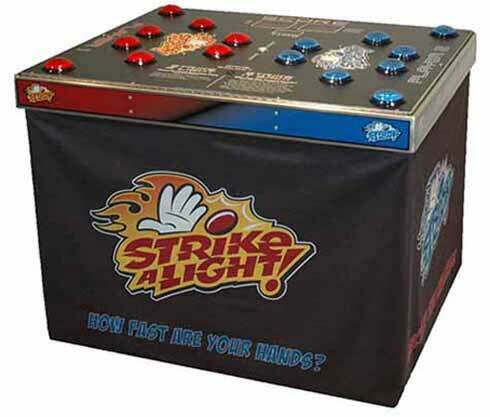 We also have the two player Strike a Light and Lights Out Reaction games where participants can compete head to head. The giant Body Bits game is a massive 7ft version of the giant operation type game we all played as kids. Complete with buzzer and flashing red nose! 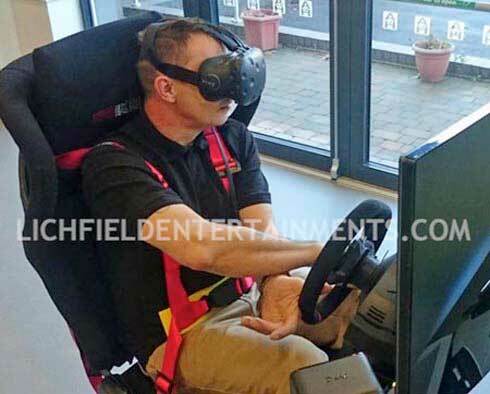 This game is great for both casual use or organised competitions. We also have other giant games such as Jenga and Connect 4. Our Grab a Grand will take you back to the TV days of Crinkly Bottom and the Crystal Maze where the participant has to collect as much of the circulating money as they can within the time period allowed. The 'money' can be play money, promotional vouchers, or even special coloured balls. No need to count it all out by hand though as we have state of the art digital scales that are sensitive enough to count to the individual note. Our Table Games include Table Football, Air Hockey, Blow Football, and Table Tennis. Fairground style games are a great ice breaker idea for corporate functions as they can be played by everyone irrespective of dress code and without the need to be an exhibitionist! In our fairground game range we have a traditional Coconut Shy, a more compact Inflatable Coconut Shy where you aim for target holes rather than real coconuts, other Side Stall games such as Hook a Duck, Ring the Bull, Play your Cards Right, Crossbow Shoot, Feed the Clown, Splat the Rat, and Cork Gun Shooting Range. We also have a Test you Strength High Striker and a great range of Giant Wonky Buzzer Wires. Our Crazy Golf is great ice breaker game that appeals to both golfers and non-golfers and is another game that can be played in either formal or non-formal dress code. It can be supplied as individual holes or as a complete six or nine hole course complete with scorecards and pencils. 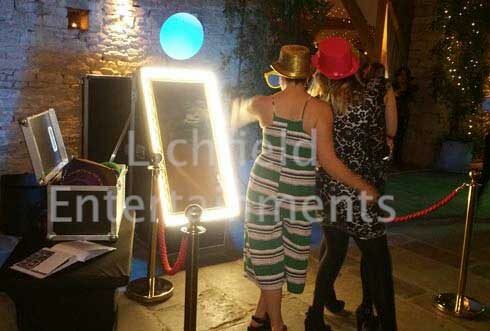 A Photo Booth or Selfie Mirror are now the must have items for any evening event. Our booths can be configured as either a traditional classic booth with cloth background curtain or a greenscreen booth with amazing themed backgrounds created by the greenscreen technology. Your guests can either choose their background theme from the on screen selection or we can set the backgrounds to meet the specific theme of your event. Your guests get to take away their print as a momento and you get a USB stick containing digital copies of all photos. Your logo and branding can be added to all prints together with a strapline and the booth body can even be custom branded if required. A new twist on the photo booth is the new animated Magic Selfie Mirror. Our Footpool game is a combination of football and pool and can be played indoors or outside. Bring the fun of the arcade to your event with an Air Hockey Table. A two player game that always proves popular. We also have a high quality Foosball table available. With our Air Juggler game two players on opposite sides race to move their hovering ball from cone to cone using the airflow. This game can be played in relay format if you'd like to use it as a team game. Our Airstream Table Football is a giant blow football game for four to six players at a time so is a great game to break the ice. Players move the ball around the pitch using the flexible air jets. Basketball Challenge is a game where two players compete head to head to score as many baskets as possible in one minute. Scoring is shown on the LED display. 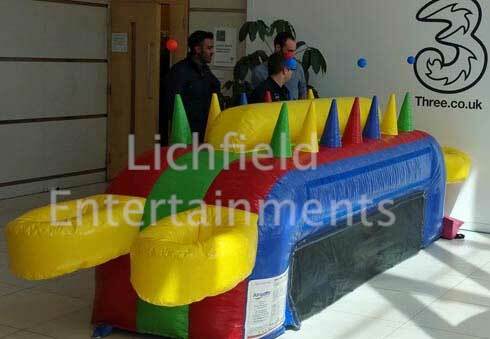 To discuss the ice breaker games we can supply to get people mixing and mingling at your event please get in touch via enquiries@lichfieldentertainments.com or call on 01283 792974.